–Scott Smith is the Community and Pet editor at ConsumersAdvocate.org, as well as an inspirational speaker, writer and animal defender. He also runs the “Everybody Loves Sammy” online community. I come from New York and was living there on 9/11—and I was struck by the similarities between that tragedy and Hurricane Maria. In both situations, I went to bed in one life and woke up in another. But Hurricane Maria also got me thinking about stray dogs and cats and what they go through every day. When Maria’s winds died down, Puerto Rico was without electricity, internet service, and in many parts of the island, running water. Communications were down. Things I’d taken for granted like food, water, and medical care became luxuries that were hard to come by. Most stores were closed and the ones that weren’t only accepted cash. But the banking system was offline and no one could get cash. It was a situation reminiscent of the Great Depression, when people with money in the bank couldn’t withdraw and spend it and the whole economy ground to a halt. I was living like that now. So were nearly three million Puerto Ricans. We had become an island of strays. I’ve always had a special connection to animals. I’ve been personally involved in a number of animal rescues. I’m a human dad to four dogs, all of whom were rescued from the streets. Sad to say, there are about half a million more where mine came from—and more than 1 million stray cats. What I went through for several weeks following Hurricane Maria, they go through every day, with little hope that things will get better. As if the tragedy of stray dogs and cats was not horrific enough before Maria hit, it became even worse afterward. Approximately 300,000 people moved away from Puerto Rico on account of the storm. Many of them were unable to take their animals with them. 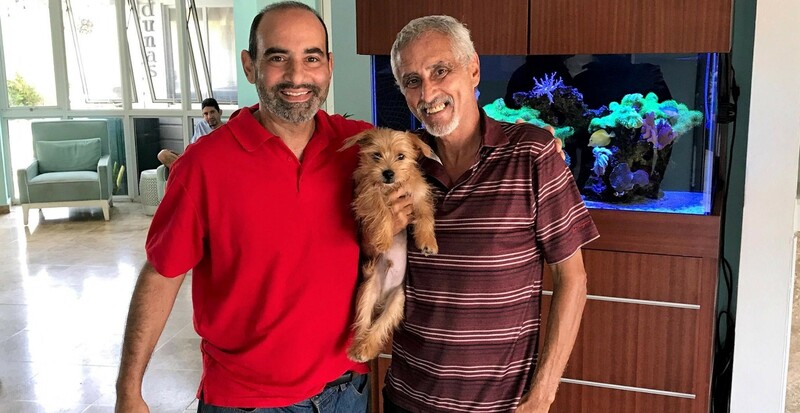 As Maria was bearing down on the island, a friend of mine witnesses heartbreaking scenes at the San Juan airport when families had to abandon their beloved pets. To make matters worse, the federal government banned pets who weighed more than 20 pounds from air travel. The policy was intended to free up cargo space for much-needed relief supplies, but it had the unintended effect of causing another 2,000 pets to be abandoned to the streets. 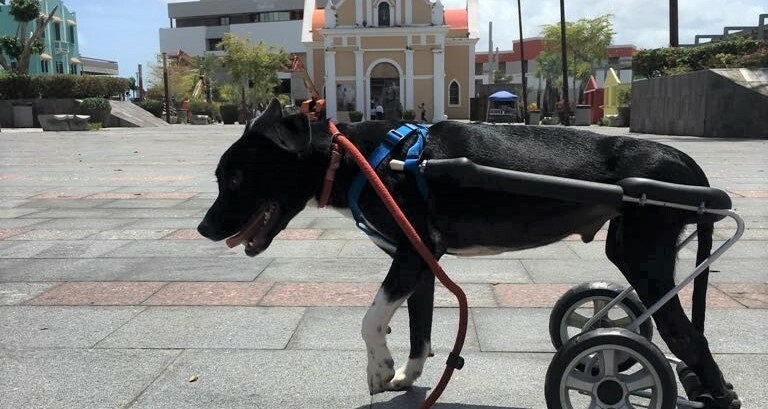 As it turned out, this poor dog’s back legs were paralyzed. He will never walk again. Fortunately, he was adopted by a loving family in Wisconsin that is giving him the best life possible. But other dogs and cats aren’t so lucky. It’s depressingly common to see the remains of dogs and cats who’ve been hit by cars in Puerto Rico. To try to combat this problem, I began a video campaign I called Drive With Compassion. It’s something—but it’s not enough. I encourage everyone to become the person who makes that kind of difference in a stray dog or cat’s life. There are some terrific organizations here that support those of us who become that difference. I urge you all to help and support them: All Sato Rescue, Alianza Pro Rescate Animales, Yes We Can-ine, Samas Boarding for Dogs, Rabito Kontento, The Humane Society of Puerto Rico, PrAnimals.org, Animalitos de Dios PR and Brownie Blondie Foundation by Marjorie Andino. Remember what I learned: hurricanes like Maria are (I hope!) a once-in-a-lifetime occurrence. But what the strays of Puerto Rico experience goes on day after day after day without end. Only people who are able and willing to step up can stop it. –The views expressed in the Opinion section are the writer’s own and not necessarily those of Caribbean Business.